Dwight James' work at Delta has always required him to think across borders. In 2015 he was leading pricing and revenue management for the Trans-Atlantic, his latest in a series of positions focused globally. But email, Skype and international visits have never been satisfying for Dwight, who believes in looking a business partner in the eye, shaking a hand or sharing a laugh. 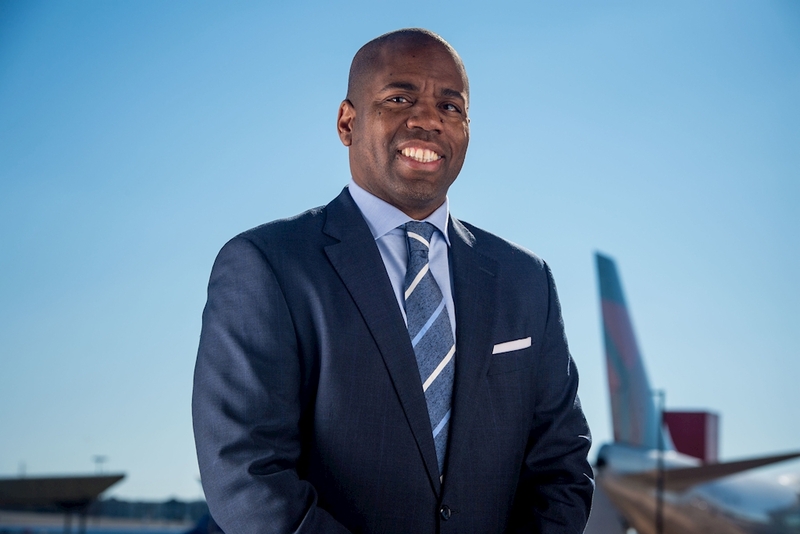 Today, he's based in Amsterdam helping lead Delta's critical Trans-Atlantic business, Delta's largest and most profitable international region, as Senior Vice President. "There's no substitute for being in a room with people," Dwight said. "Beyond my commercial responsibilities, a big part of my role is telling the Delta story – to our partners, to our customers and to our communities. You have to be here to do that effectively." 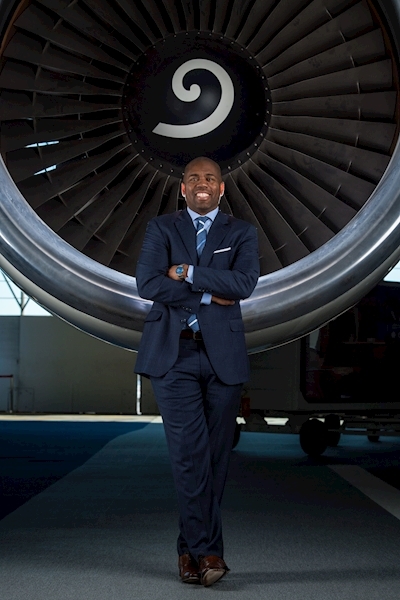 Dwight is a nine-year Delta veteran whose resume of cross-functional roles with the company – including overseeing strategic analysis of the Northwest Airlines integration and equity investments in airline partners Aeromexico and GOL, and providing economic and revenue forecasting for the airline – well prepared him for his current position. In addition to sharing responsibility for Delta's financial performance in the Trans-Atlantic, he works closely with executives at Air France, KLM and Alitalia, as well as Virgin Atlantic – where he serves on the board of directors. DJ: The goal is to build a durable and profitable franchise for Delta and our partners in the region. On the Network side, we typically start with macroeconomics, evaluating supply and demand. We want to understand who is flying and where they want to go. But we can't simply add capacity. There must be the ability to make a profit. So it's vital we really get to know our customers and understand their needs – that is key. And our partners at Air France, KLM, Virgin Atlantic and Alitalia can help us do that. So together, we build a route network that makes sense for our customers and for our business for the long-term. Corneel (Koster, Senior Vice President – Europe, Middle East, Africa and India) and I co-lead the (Trans-Atlantic) entity. We sit down together on a regular basis and look at everything, from Network, Pricing & Revenue Management, Sales and Customer metrics. Corneel has a deep operations background (he previously served as Chief Operations Officer at Aeromexico), and brings a really valuable perspective to the table. Our teams complement each other well. We presented a joint business plan for the region for 2018. In other words, we're both deeply invested in the success of the Trans-Atlantic portfolio. It's important for us. Airlines like Air France and KLM are very well known in their home countries. At the same time, we're building advocates among our partners' employees. They talk up Delta in their communities, with their customers, and together we can build brand loyalty through employee advocacy, joint advertising and more. Loyal customers will fly Delta and our partners and because of the experience, everybody wins. We're growing the pie for Delta and our partners in the region. One of the ways you build brand awareness and loyalty is by getting involved and showing communities you care. We want people to know our name and know that we're there to make a difference. So particularly in London right now, as part of our Win in London strategy, we are involved in many charities including the Princes Trust, British Red Cross, Great Ormond Street Hospital, Young Enterprise, and The National and Donmar Theatres. India presents an enormous opportunity that, because of the unfair competition of the Gulf carriers, has not been a viable option for Delta to fly nonstop. So how do we tap into one of the largest markets in the world? Our partnership with Jet Airways is significant – we're already connecting approximately 1,000 passengers a day between India and North America via Amsterdam, Paris and London - and with the new joint venture between Jet and Air France-KLM, we can connect even more traffic through our European hubs. Africa. We fly to four markets on the continent with our metal – we're the only U.S. carrier that flies there – and we see growth potential. We have partners who can help us grow further where it makes sense. Air France-KLM has a strong presence in Africa and there is definitely an opportunity for us to enhance our cooperation commercially and grow there together. Competition from LCCs is a legitimate issue. Look, there's always going to be a leisure segment with an appetite for low fares. I think at Delta, we have a good model we are expanding into the Trans-Atlantic from the U.S. When Spirit Airlines first came into the Domestic market, they were a disruptor. With our introduction of Branded Fares in the U.S., we can compete on price – and add on top of that the great Delta service the customer receives to go with that affordable seat. So we have moved that model to the Trans-Atlantic and we're expecting it to be very effective.